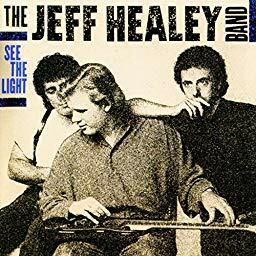 I was really looking forward to relistening to the debut album from The Jeff Healey Band when I saw it come up on our Turn That Noise Down list. They were a band that I listened to a lot back in the day… or I thought I did. Turns out, I had initially bought this album off the back of Healey’s appearance in Road House (one of my all time favourite 80s films) and tended to listen it to a lot as background music when I was doing other stuff like studying or tidying up. Now, and this is going to be unpopular, when I sat down and actually properly listened to this album again, thirty years after its release and with no other distractions, although it was still good, I found that most of the tracks on the album didn’t stand out from each other as much as I remembered they did in the past. In fact, at one point I had to answer the phone and left the room and, when I came back, I hadn’t realised the song had changed until I checked the title. Ah. Maybe it was rose-coloured hindsight or maybe I’ve listened to a LOT more blues in the intervening three decades but, listening to the album now, it was all a bit… meh. That’s not to say it’s a bad album, far from it, it’s fine for what it is – a debut. This is good solid 80s bluesy rock and roll for the most part, strict tempo, three chord, “know what you’re getting” music that makes perfect background noise. There is the odd ballad – like the chart hit Angel Eyes – which is good solid 80s rock & rolly blues instead, but that kind of sums up the album - a lot of the tracks are just speeded up or slowed down versions of a similar thing. That said, there are two tracks that did stand out for me on this relisten. Nice Problem to Have is proper guitar blues that reminded me of The Rolling Stones’ version of Little Red Rooster. It didn’t have the rock drums or the over-produced 80s sound of the others, just stripped back guitar and bass and it showcased the musicianship of Healey a lot more than the rest of the album. The other track that stopped me in my… er… tracks was Blue Jean Blues. Yes, a cover of the 1975 ZZ Top song and bloody hell it was amazing.